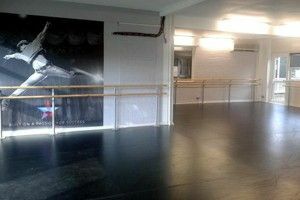 From the Royal Ballet School to Britain’s Got Talent’s Flawless, Le Mark’s stage floors and theatre floors have been used by some of the biggest names in the industry. 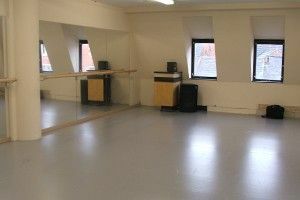 Our extensive range of permanent and portable dance floors have been designed specifically to suit a selection of dance styles and meet the needs of the most demanding dance professionals. Available in a variety of colours, finishes and sizes, Le Mark’s dance floors are fast becoming one of the most widely used in the dance industry. Harmony Matt performance floors can be painted or printed to provide the perfect stage floor covering. As a standard the matt black finish is ideal for absorbing all types of stage and concert lighting. Whether printed or plain the fibreglass mineral layer helps this floor to relax quickly and evenly creating the ideal performance space. The beautiful Harmony High Gloss is a single sided portable floor for theatre events and concert performances. Combined with our special high gloss StudioTak tape it can be easily joined almost invisibly. Harmony High Gloss is specifically designed to offer you that finishing touch and offers a platform to enhance every aspect of your performance. 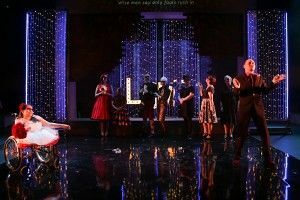 Most theatres and concert halls have a roll out performance floor and Coda Reversible is the standard that all would love to have. Coda Reversible is a double sided Black/Grey or Black/White roll out stage floor. Designed to stand up to the rigours of long term productions Coda Reversible is perfectly suited for all theatre and concert events. A reversible floor when Black is all you need. Nocturne Reversible is a double sided Black/Black roll-out stage and concert floor. 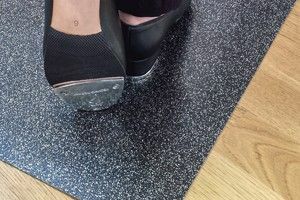 Being both durable and flexible, it can be used as either a permanent or portable floor. Nocturne Reversible is suitable for almost every type of stage performance. Astral Glitter offers that little something extra adding a touch of sparkle to any stage or concert. Astral Glitter is a single sided event floor with a fibreglass mineral layer allowing the floor to relax and flatten out quickly. It looks great on its own but when combined with professional lighting the glitter floor really comes to life. 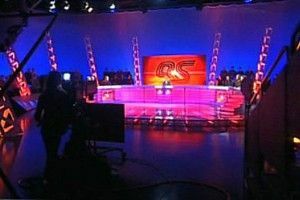 StudioTak™ is a self-adhesive instant studio floor which has been specifically designed and manufactured for the TV, Film and studio market. Set designers love that it is easy to use and visually stunning, simply remove the backing liner and apply to give an outstanding smooth finish. Specifically introduced to offer dance and touring productions a professional, reversible and portable stage floor at an affordable price. Lighter than many traditional reversible, portable stage floors, Duo™ can be easily rolled up for storage and transportation. Additionally the inner fibre glass layer helps Duo™ lay flat quickly from the roll when re-laid at the next location.